The Layla Bag by Cozy Nest Designs is a perfect pairing of sophisticated design and function. 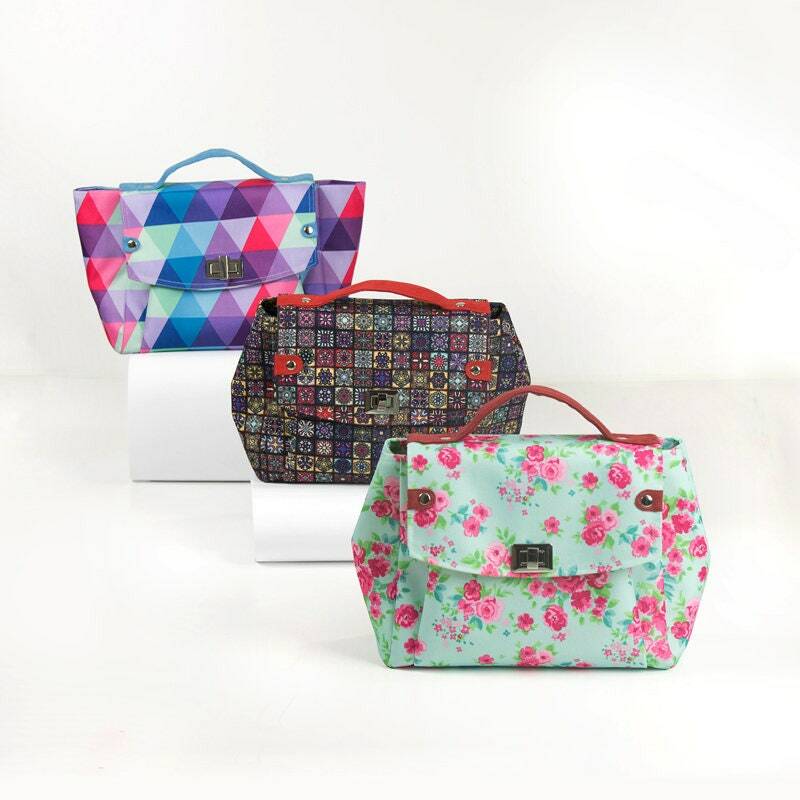 Layla’s features include a clean yet curvy handbag design that showcases whatever fabrics you choose. Layla’s domed cut-out handles can be created with or without the metal handle hardware. A fully zippered top closure to keep personal belongings safe inside, along with the zippered interior pocket. Layla’s shoulder strap is removable.